Before bass season starts, why not cast a few and catch some crappies? The shores of Lake Menomin are great spawning areas for crappies and many other panfishes. As the weather gets warmer towards mid-spring, crappies start swimming away from the deep-end of the lake and head towards shore to breed. As seen in this image, crappies are great for recreational fishing as well as a delicious dish. Crappie season does not come often, and after a few weeks, this area will be cleared as the predators start coming towards shore to feed off other smaller fishes. It is great to see the fishing community come together every year to fish in this location and enjoy the warm weather. 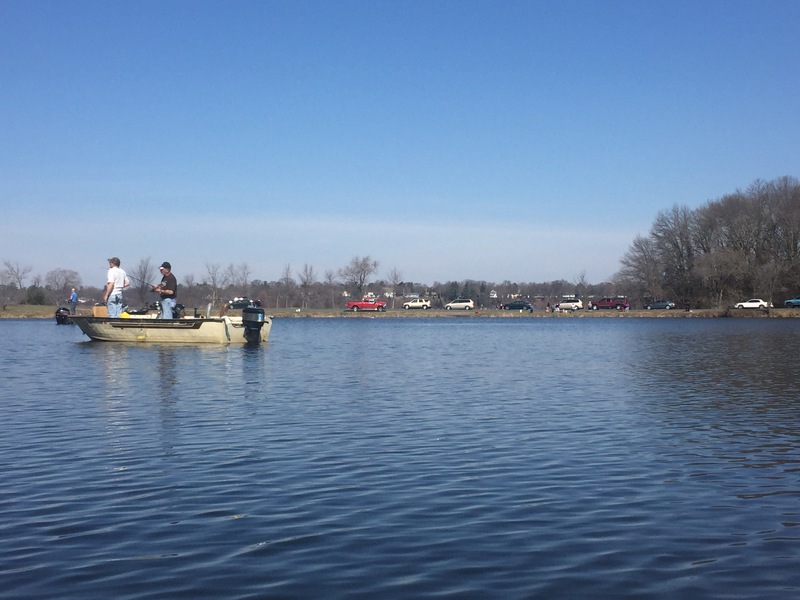 Whether anglers are fishing on shore, boats, or kayaks, there are plenty of fishing area for everyone as the crappies are breeding all around the bay.